In past years the large capacity single cylinder four-stroke was the “glamour" bike of the off-road motorcycle market. The “thumper" ruled! ln later years, however, the lighter two-strokes were the kings on the dirt. Even so, there was still an great amount of feeling fur the big single. Such a groundswell of affection that Yamaha felt that it must surely be something more substantial than simple nostalgia. Hence the XT500 - the first really "full-sized" 500cc single cylinder machine to be sold in quantity since the nineteen-sixties and an immediate hit with motorcyclists on each side of the generation gap. The thumping, striding horsepower of the 499cc overhead camshaft engine gives the XT500 a character all of its own ... a character appreciated even by riders who were too young ever to have had the chance to ride those singles of almost two decades ago. The enduro-styled XT500 is a real dual-purpose bike capable of effortless cruising on the road or of thumping its way across the rough country to great effect. An idea of its capabilities can be gained from the fact that Sweden’s Bengt Abert is using a Yamaha XT500 four-stroke rnotocrosser to such effect that in 1977 it became the first four-stroke to win a Grand Prix motocross in almost ten years...against the absolute best opposition in the world. And an XT500 in the hands of Frenchman Gilles Comte, won the gruelling marathon from the Ivory Coast in Western Africa to Nice in France. Conditions ranged from muddy jungle roads to the sands of the Sahara desert...an incredible test which the Yamaha XT500 passed with flying colours. 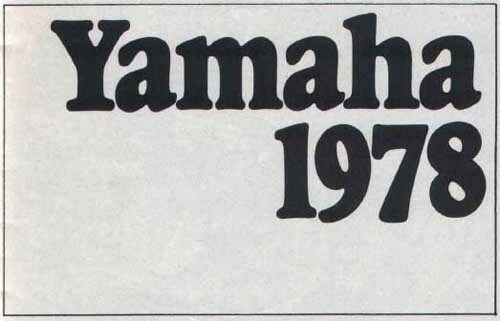 Now, thanks to Yamaha, those people who would have considered any 500cc four-stroke single to be merely a collector's item are thinking again. The "thumper" is back! 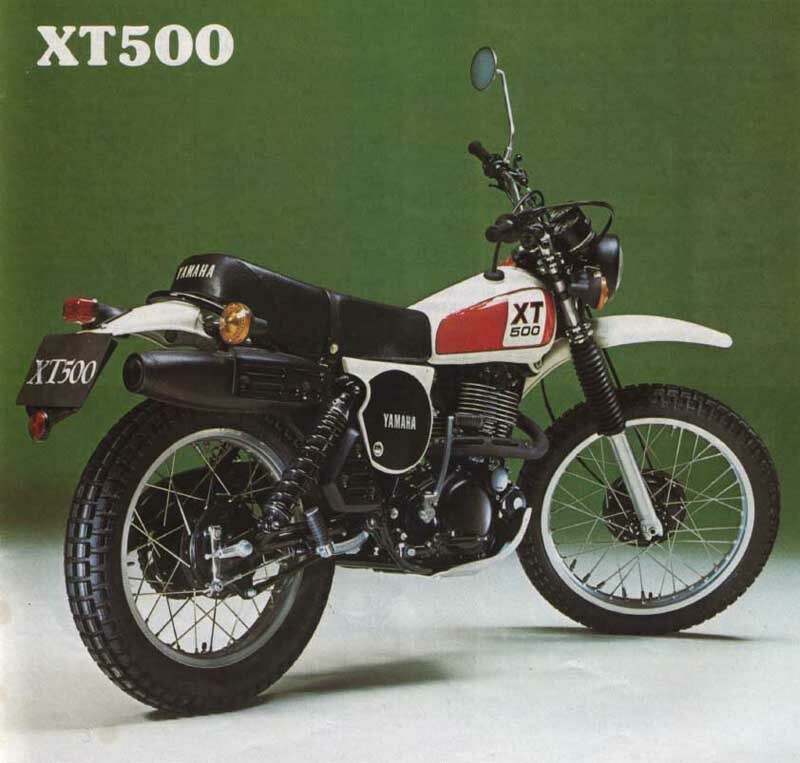 The XT500 is everything that the old "thumpers" were - and then, some!